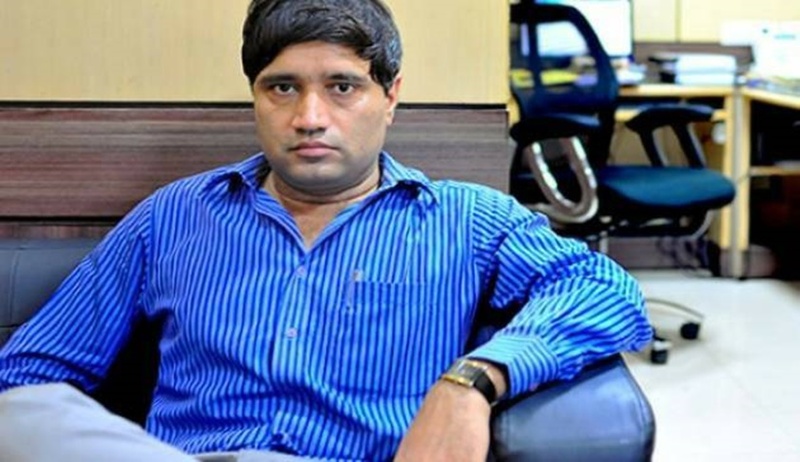 The Supreme Court has waived the cost of Rs 50,000 imposed by the Punjab and Haryana High Court on IFS officer Sanjiv Chaturvedi, who has been pursuing legal battle for a CBI probe into multi-crore Haryana forestry scam unearthed by him during his posting there, in 2005. The court’s order comes on an SLP moved by Chaturvedi against the February 7 order of the Punjab and Haryana High Court vide which he was burdened with a cost of Rs 50,000 to be paid to the Haryana forest department for seeking two-month adjournment in a case instituted by the state government challenging the Centre’s 2010 order by which a two-member inquiry committee was formed by the Ministry of Environment and Forest to look into the allegations of corruption uneartherd by Chaturvedi. Chaturvedi had sought a two-month adjournment to file a reply as he awaited certain documents yet to be supplied to him by the state, despite repeated requests. On February 7, Justice PB Bajanthri of Punjab and Haryana High Court noted on Chaturvedi’s request for adjournment, “5th respondent (Chaturvedi) had ample time from 2014 when the writ petition was filed and notice was ordered to file reply statement. That apart he did not utter anything on 17.01.2018, 24.01.2018 and 29.01.2018 relating to filing of written statement. Therefore 5th respondent's conduct is required to be taken note of for the purpose of entertaining adjournment for 2 months to file written statement when the matter was already heard on behalf of petitioner and further Union of India Counsel for some time. Request for adjournment is accepted in part. Two weeks' time is granted to file reply statement subject to payment of the cost of Rs 50,000. Cost shall be paid to the Department of Forests, State of Haryana”. This forced Chaturvedi to move the Supreme Court by way of SLP while also adding that the high court had erred in considering him a member of state services when All India Services is a subject of the Union List and the officers will be under the Centre no matter where they are posted. It is to be noted that the Haryana government moved the high court in 2014 even as Chaturvedi’s plea for CBI probe into various malpractices in the state’s forest department was already pending before the Supreme Court since 2012. Chaturvedi maintained that the Haryana government moved the high court only to scuttle the adjudication by the Supreme Court and the state’s petition is “basically a proxy litigation on behalf of then Chief Minister, Haryana, BS Hooda and his OSD, then Forest Minister Kiran Chaudhary, then Principal Secretary (Forest) Keshani Anand Arora and their colleagues”. With Chaturvedi arguing that the petitions are nothing but parallel proceedings before the apex court and the high court, the Supreme Court also ordered on Monday that “… the high court shall take note of the similarity of the issue pending before this court after hearing all parties concerned”. Chaturvedi had joined Indian Forest Service in the year 2002. While posted in Haryana, he unearthed and acted against a large number of forestry scams in the state involving many political bigwigs. He was chargesheeted for acting against large-scale illegal felling of trees mand poaching in Saraswati Wildlife Sanctuary. He was suspended for the same in the year 2007 but the order of suspension came to be revoked by the President in 2008. In 2009, Chaturvedi exposed a multi-crore fake plantation scam allegedly involving Hooda, Kiran Chaudhary and others where crores of government money was siphoned away. This, he said, annoyed the Chief Minister and for blowing the lid off various scams and malpractices, Chaturvedi was rewarded with the institution of penalty proceedings by the Government of Haryana. However, on a representation made by the IFS officer to the Cabinet Secretary, Union of India in August, 2010, a two-member enquiry committee was constituted by Ministry of Environment & Forest (MoEF), which submitted its report in 2010 finding the allegations against the State of Haryana, as true, and recommended CBI enquiry into dubious role of certain highly-placed politicians and civil servants. In 2011, the President passed another order quashing the charge sheet against him. The MoEF even favoured referring the issue to CVC for deciding the modalities of an investigation into the malpractices unearthed by Chaturvedi. Even the CBI wrote to the CVC that the allegations levelled by the IFS officer against the Government of Haryana were worthy of an independent probe. In March 2012, the MoEF asked the state government to issue a notification for CBI probe into the forestry scam but the same was rejected. In August 2012, the Haryana government issued another charge sheet against Chaturvedi which also came to be quashed by a Presidential order. With the Haryana government not too keen on a CBI inquiry into the scams unearthed by Chaturvedi, the IFS officer moved the Supreme Court in September 2012 seeking direction to the CBI to take over the probe into the cases. It is to be noted here that when the case came up before the apex court in November 2013, it was posted for February 2014 with an order that it may be disposed of at admission stage. However, the case was not listed in 2014 and 2015 and was finally taken up in March 2016 and then in April 2017 when the Supreme Court listed it for final disposal in August 2017, only to be listed yet again for final disposal on October 2017. The case is still pending before the apex court, though. In the meantime, the Haryana government moved the Punjab & Haryana High Court on February 4, 2014, seeking a declaration that the very constitution of an enquiry committee which had recommended CBI inquiry way back in 2010 was ultra vires. Haryana also challenged the Presidential orders passed post the enquiry committee report by which Chartuvedi’s chargesheet was quashed. In doing so, it relied on a 2012 DoPT opinion to the PMO which opined that the MoEF’s move to constitute an enquiry committee was ultra vires since Chaturvedi was posted under the state. This order was given to one IFS officer MM Joshi in Haryana within 48 hours through RTI application without the same being approved by the Cabinet. Chaturvedi says he was forced to file transfer petition after the Haryana government went back on its word before the high court that it was mulling withdrawing the petition. He said the Haryana government has challenged the very documents which he had relied upon in his petition before the Supreme Court for CBI inquiry into the forestry scam. In May 2016, Chaturvedi filed a short reply in the high court and the same was taken on record. On October 25, 2017, the high court directed him to file an affidavit and show that his memorial to the President in 2010 against the charge sheet was through proper channel as he was then serving under the Haryana government. Memorial is the last resort available to any aggrieved All India Services officer to directly place the grievance before the President, who has blanket powers to pass any order based on material placed before him. The additional affidavit came to be filed in November 2017 and was taken on record. On November, 27, 2017, the high court allowed his plea for summoning of records to prove his case which included letters written by the enquiry committee to the Haryana government, letter from MoEF to the Haryana government seeking its response on Chaturvedi’s memorial and also the reply of the state to the enquiry committee wherein it was accepted that Chaturvedi’s actions in case of Saraswati Wildlife Sanctuary were part of his duty. He had also sought some file notings of the principal secretary (forest) approving his actions in the sanctuary case. He has also sought to know the source of communication of confidential DoPT opinion to the Government of Haryana. Twice in January 2018, the matter was adjourned. On January 30, 2018, Chaturvedi made an application to the State for the documents that were ordered by the court to be produced, to be handed over to him. A reminder was sent on February 2. On February 5, he filed an application before the high court seeking the adjournment of the matter to allow the state to provide him the documents which resulted in the high court imposing a cost on him. Chaturvedi maintained that the high court overlooked the fact that he had no occasion to seek an adjournment on earlier dates and he had filed a preliminary response anyway.